Daily Inspirations: a hodgepodge of images I find exciting, enthralling, beautiful, captivating, funny, or smart. 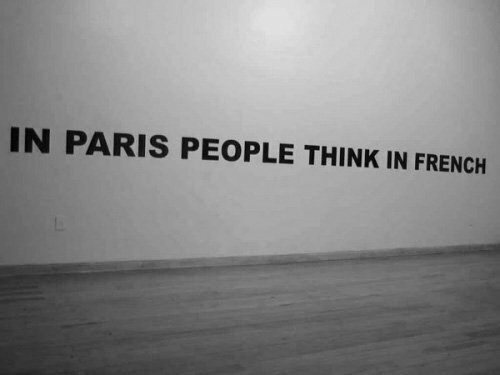 They probably won’t make sense altogether, but our most exciting thoughts never do. 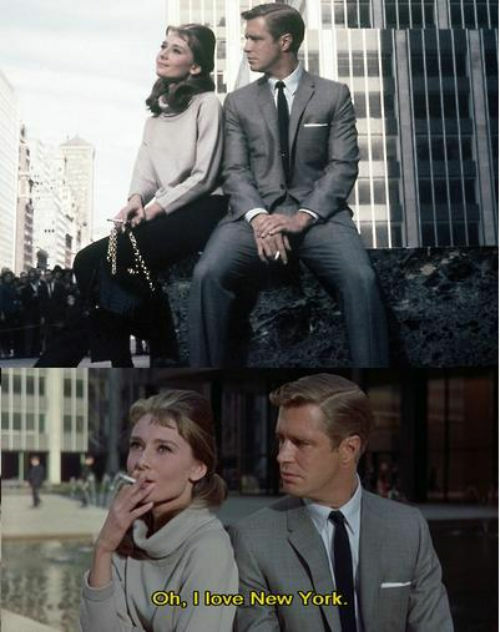 Following up the previous Audrey post, how can you not love her as the daring darling Holly Golightly? Vanessa Paradis with a guitar, a floppy felt hat, a lace dress, white over-the-knee socks, and maddeningly gorgeous makeup and hair. In the immortal words of Rachel Zoe, "I die." I am such a Rose, it's not even funny. 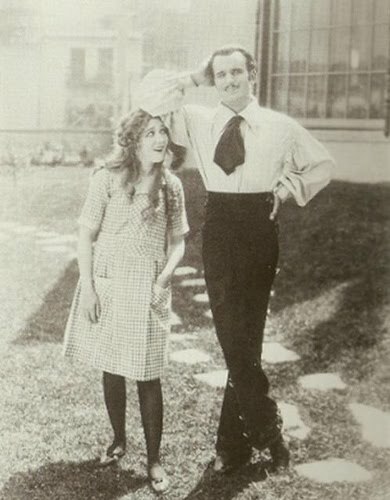 Mary Pickford and Douglas Fairbanks - my what a height difference! Imagine trying to get the two of them in the same shot! You know when you see a photograph not of you, but it perfectly describes you during a certain time in your life? Yeah, this is me in the early nineties. 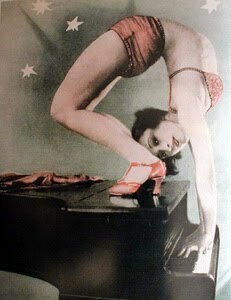 Why I envious this photograph: 1) I wish I could be that bendy, 2) I can't even play the piano right-side up, let alone upside down on the top of a piano, 3) I want to learn how to make my hair do that, 4) I do not have the body to pull off that outfit, 5) those are some may-jah shoes. Club kids and Hindu gods, what's wrong with that? But seriously... there are arms everywhere (and not just coming from Vishnu). I will forever be obsessed with the life of Marie Antoinette. That, coupled with my debilitating desire to live inside of a Sofia Coppola film, means that this film will own my life. Forever. Betsey. She's my best friend. I adore her in so many ways. 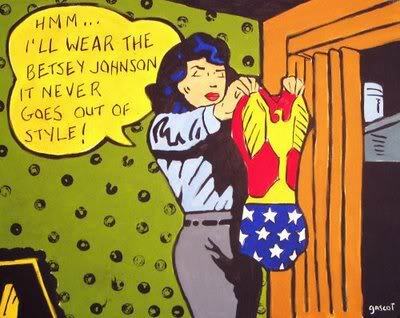 Betsey, can we just run away together and live in Betseyville forever? The five Ames Sisters in 1929 in order: Dorothy, Alice, Marjorie, Mary Eloise, and Barbara. Marjorie looks a lot like Mariel Hemingway to me. And I'm kinda obsessed with Barbara's expression. 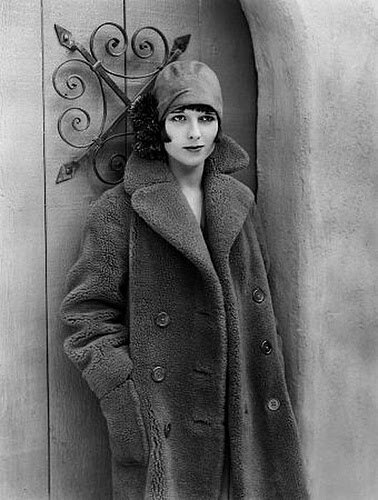 Louise Brooks. Need I say more? I absolutely adore this. 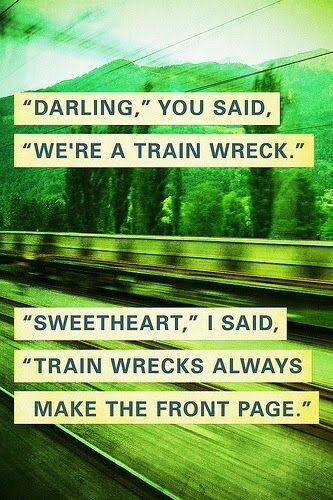 I wish to be a train wreck with someone one day. I don't know why this was such a revolutionary thought to me. 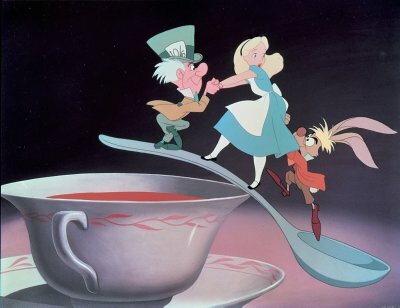 My forever, undying love of all things Alice. 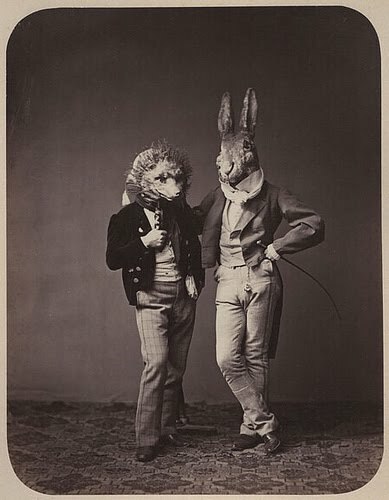 Again, like Sofia Coppola, I dream of living inside Lewis Carroll's world. Gasp! 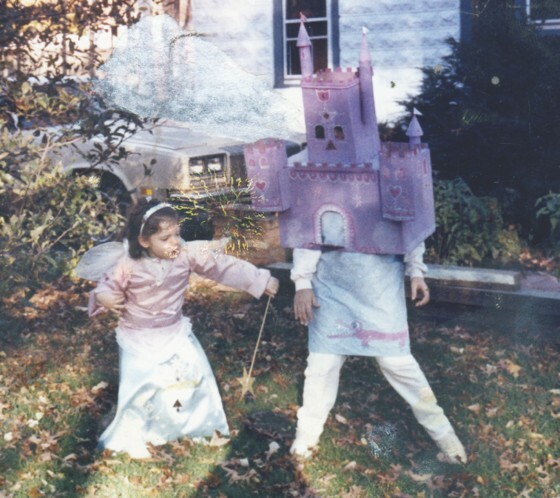 Imagine if instead of Tim Burton, Sofia Coppola had made a version of Alice in Wonderland. It would be so dreamy and unreal. 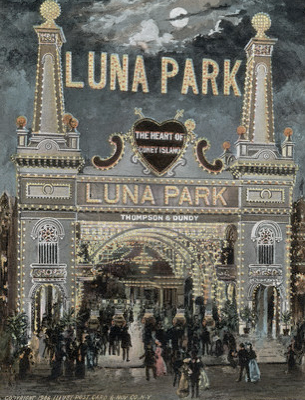 I love the idea of going to Coney Island. 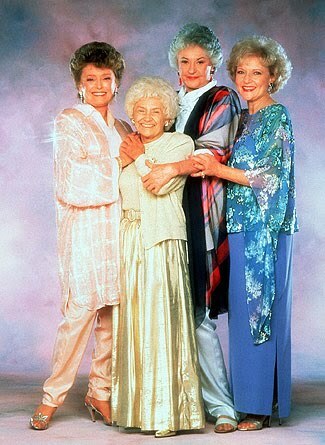 I've never gone before, but I would want it to be all vintage-y and hokey like in the 1940s. Since I know that's not the case today, I won't ever go because I don't want to spoil the dream. content and I'm always looking! not ever let you post! kisses! PS: where do you find these pictures? Lah-summerbaby - Thanks for checking out my tumblr! i've had so much fun posting all my old goodies over there, i've sort of neglected the blog. it's a delicate balance i suppose! Hi Dani - I'm so happy you found my site! I've always wanted to travel to Brazil, so I'm very envious you're actually from there. I find my pictures in a very nerdy fashion - I troll the internet for hours and hours and save any and everything i find beautiful, strange, funny, or important. i never know when or if i'll ever use it, but i like having it there. i would be the computer version of an episode of "hoarders." buried alive in retro images! And the photo that you captioned as Lillian Gish and John Gilbert is actually Mary Pickford and Douglas Fairbanks- it was a publicity shot emphasizing their height differences! I love your pictures, great choices. The one of you is fabulous! Rachel and Christina - thank you both so much! I'll make the correctly asap. Goodness, what would I do without such smart blogger friends? Well, besides thinking Lillian and Mary were the same person, but you know what I mean!